[Front Row L to R] A student, Fr. Ariosto Coelho -the Rector of the Agro-Ed Complex, Mrs. Inderjeet Singh, Dr. Gopal Singh -the Governor of Goa, Fr. Aurelius Maschio, Fr. 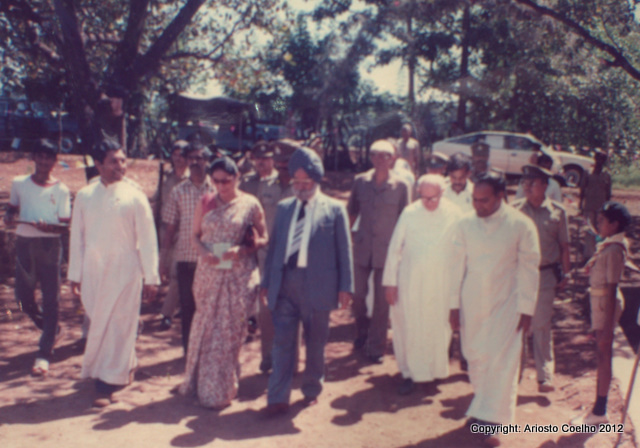 Chrysanthus Saldanha -the Provincial Superior of the Salesians of Don Bosco, and others after inaugurating the Don Bosco Farm High School buildings in Sulcorna, Goa, on October 20, 1986. Mirror 151 : The land of resilient optimism? 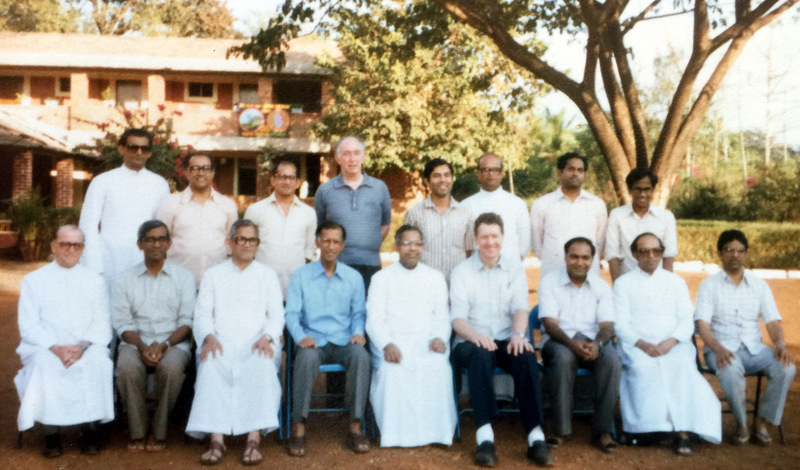 My theological training and priestly formation was complete with a two-month Pastoral Course at Kristu Jyoti College in Bangalore. As young priests we were exposed to a variety of practical seminars addressing issues related to Catechesis, Homiletics and Pastoral Life. We were offered a brief course in management and leadership skills. Finally, we were exposed to some salient aspects of mental health treatment and major psychological diagnoses while attending a few lectures at the National Mental Health Institute in Bangalore. At Pai’s recommendation I travelled to Nagapattinam in Tamilnadu and prayed by the grave of my paternal granduncle in the Old Church of Luz on March 12, 1978. Fr. A. Xavier Coelho was a Padroado missionary who welcomed the first Salesians to Tanjore in 1906 and helped them establish their first orphanage in India [Ap C]. I dedicated my Salesian Priestly ministry to him before accepting my new obedience[i] or first assignment as a priest. In my correspondence with Fr. Tony D’Souza, the Provincial Superior who was in Rome around the time of my ordination, I had offered to work in the missions of Gujarat, if that was God’s will for me. He wrote back that the Salesian Congregation needed me in Sulcorna, a remote forest-farm in Goa. He also informed me that it was the will of God for me and that I was well prepared for this assignment, especially since I knew the languages spoken in Goa - Konkani, Hindi, Portuguese and English. I was appointed Vice Rector of a small community of three Salesians and asked to study for a degree in Civil and Criminal Law. It was Good Friday, 24th March 1978, when Fr. Tony D’Souza welcomed me into the Salesian community of Sulcorna. His Easter wish to Fr. Olivio Miranda, Br. Ludvik Zabret and me at the close of the Official Annual Visit on Holy Saturday as written in the Visitation Report 1978 was “that through their continued hard work and enthusiasm they may spread joy of the Risen Christ in this locality.” On that Good Friday I took to heart Fr. Tony’s desperate whisper to me, “Sulcorna has remained too long under the spell of Good Friday and Holy Saturday. See what you can do to bring in new life, to usher in youth into this farm and to make it apostolically fecund and Salesianly viable.”[ii] Thus began my tryst with Sulcorna and another chapter in my life by spreading the Gospel of Jesus Christ which I chose to entitle Kristapurana in Sulcorna. Encouraged by these words of Jesus of Nazareth, the Christ, I chose to die a thousand times in Sulcorna. During the 111 months that I lived and worked as a Salesian priest I witnessed many miracles wrought by the Power of the Risen Christ in this remote village nestled among the hills where the waters of Kushavati dance on their downward course to the Arabian Sea. With the Breath of the Risen Christ I was able to harness the energy of my Salesian confreres, the Helpers of Mary, the lay collaborators, the supporters and benefactors, many young people and their families in order to transform Don Bosco Farm into an Agro-Educational Complex [DBAEC]. I am grateful to all who made it possible for me to live and work in Sulcorna. I could write volumes as I recall the many miracles I witnessed and the challenges we faced as we pioneered and established educational and developmental projects for the young and the poor. - Workshops for Training Rural Youth for Self-employment. In 2015 the DBAEC started Goa’s first and only Agricultural College. In early June 1978, I had been at the farm for less than 3 months when the Provincial Superior decided to give Br. Ludvik Zabret, the Farm Manager, another well-deserved break. From January 1, 1966, Br. Ludvik had worked extremely hard with the help of a dedicated group of farm hands mostly from Sagayathottam in Tamilnadu. He had converted a virgin forest into hundreds of acres of arable farm land, where he had cultivated sugarcane bamboos, many trees bearing fruits like mangoes, chickoos, guavas, coconuts, cocoa pods, and other plants yielding water melons, pineapples, spices, vegetables and flowers. Earlier Fr. Giuseppe Moja, the first Salesian to arrive and live in Sulcorna from October 20, 1962, had cleared a part of the forest and cultivated thousands of cashew trees along the hill sides with help mostly from local workers. The Animal Farm comprised of a poultry and dairy as well as goats and pigs. In mid-June 1978, this farm was placed in the hands of an inexperienced manager, a young priest fresh from the transformative world of theology. Four months later, when Br. Ludvik returned from his vacation in Dubrovnik, present day Croatia, he remarked, “Fr. Ariosto, thank you for not destroying the farm.” I informed him that my goal was to observe for at least 6 months before effecting any significant changes. I convinced him that my intention was to learn his methods and be of service to him. He agreed that I was lucky because the supervisors and workers in the various departments cooperated willingly with me. Fr. Olivio Miranda, the Rector, faced unprecedented hostility beginning on August 6, 1978, when at the instigation of the local Member of the Legislative Assembly from the Rivona Constituency and the administrators of the land belonging to the local Comunidades he was forced to enter litigation. After fighting in the Courts in Goa for two years Fr. Olivio was sent to Rome in 1980 and I was asked to take over his responsibilities. The very first Petition I signed on behalf of Pia Sociedade Salesiana de São João Bosco in Goa with the Power of Attorney from Don Egidio Viganò, Rector Major of the Salesians in Rome, was at the Supreme Court of India in New Delhi in November 1980. On December 19 I accompanied our lawyer Adv. Mario Bruto da Costa to New Delhi. At the Supreme Court in New Delhi we had to hire a lawyer on record to file our Petition and take care of the paperwork, which our lawyer from Goa had to provide. The experienced Senior Counsel, whom we hired, represented more than one client and had to personally present the cases to different benches of the Supreme Court that morning. Adv. Da Costa briefed him and assisted him in presenting the facts of our Petition. On this 20th day of December, I realized that the system designed to offer justice is unjust in many ways. This was among one of my significant reflections as I sat and admired the beauty of the Taj Mahal in Agra on the full moon night of 21st December, 1980. My Petition was upheld and sent back to the Courts in Goa for further litigation, which continued even after I left the Farm. I am grateful to Sr. Anandlata, HM, the Superior General of the Helpers of Mary, Sr Rupa, Sr. Prasanna and Sr. Aradhana, who came to DB Farm on January 14, 1978, a couple of months before me. With their support I was able to reach out to the sick, the adults and children at DB Farm and in the villages. I recall organizing the first Mobile Christmas Crib in a tractor trailer in December 1978. We visited the villages from Netravali to Zambaulim and from Pirla to Kaurem. We shared the message of Christmas and distributed sweets to the children. We invited the village youth to participate in the Youth Fest organized at DB Farm on January 31, 1979, the feast day of St. John Bosco. The Youth Fest was conducted every year and attracted youth mostly from Quepem and Sanguem Talukas in South Goa. In 1981-82 with the assistance of Fr. Fermin D’Souza, SJ, a counselor from Loyola High School in Margao who took to heart the Jesuit option for the poor, we participated in a year-long sensitivity process to discern our mission in Sulcorna and to further developments in the villages. Along with the Helpers of Mary, Br. Vincent Nigrel,[iii] Br. Alex Gonsalves,[iv] Br. Bennett Aranjo[v] and other Salesians we were able to spearhead our educational activities for critical consciousness at the Farm[vi] and development in the villages, especially through the “Oratory” or Youth Work, the Seed Bank and the Dairy Project. Let me share with you a few more memories. I recall how Mr. Jerome Mendonca,[vii] from Jamboti near Belgaum in Karnataka, discovered his Salesian and religious vocation at Savio Boys’ Home in Sulcorna. I remember how I had to motivate teacher Juliana Dias, my neighbor from Aquem, and many other educators, teachers and instructors to become missionaries and youth workers at DBAEC. As the Founding Vice-President of TESED I remember collaborating with Fr. Arnaut Pinto, SJ, who was the President, two sisters from the Presentation Convent in Margao, who had direct contact with the street children, and other founding members. During my years in Sulcorna I also recall meeting regularly with a group of dedicated and committed social activists like Mr. Mathany Saldanha of the Ramponkar Movement, Mr. Christopher Fonseca of the Labor Movement, and a few priests including Fr. Braz Faleiro, SJ, Fr. Oscar from Arlem Parish, Fr. Michael from Vasco Parish and Fr. Eremita from a Parish in Bardez. I am grateful to them for making my priestly horizons expand beyond Sulcorna and embrace the social reality of Goa and India. At the request of Fr. Chrys Saldanha, Salesian Provincial of Bombay, I assisted Fr. Edwin D’Souza in handing over the properties and Institutions established by him to the Salesians of Don Bosco, particularly by negotiating with Msgr. Agapito Lourenço, the Deão of Quepem, and Msgr. Raul Gonsalves, the Archbishop of Goa. In 1985, the Salesians at Quepem: Fr. Lionel Braganza, Fr. Cajetan Lobo, Fr. Benedict Furtado, Br. Dominic Savio and Br. Lorenzo D’Souza, were part of the SDB Community at Sulcorna. Initially with help from Fr. Cyril Frances we published The Song of Sulcorna 1983. This became a yearly feature, a Souvenir that was released in 1984, ‘85, ’86 and ’87 on the feast day of St. John Bosco. Please permit me to share with you a poem that I wrote in the Editorial to the first issue entitled The Song of Sulcorna. 1948, Sept. 8 - Msgr. Vincent Scuderi, SDB, accepts a gift from Mr. Umberto Mascarenhas, a property in Sulcorna to offer Goan youth education in agriculture. 1962, Oct. 20 - Fr. Joseph Moja is the first Salesian to reside permanently in Sulcorna. During the 15 years of his leadership the SDBs build a residence, a shrine, colonies for workers and a small multi-lingual Primary School. 1966, Jan. 1 - Br. Ludvik Zabret and a group of Tamil farmers come to Sulcorna and establish Don Bosco Agricultural and Animal Farms. 1977, July 16 – The Rector Fr. Olivio Miranda starts Savio Boys' Home, a boarding for poor boys and orphans. 1978, Jan. 14 - The Society of the Helpers of Mary start activities in Sulcorna: Don Bosco Dispensary and Mini Hospital, a boarding for girls, and a balwadi for little children. The sisters also visit the villages in the vicinity. 1978, Mar. 20 – Fr. Ariosto Coelho arrives in Sulcorna as the Vice-Rector. 1978, Aug. 6 - The MLA of the Rivona Constituency and his henchmen begin to create problems: by digging the foundations for a temple in our farm; by sending criminals to destroy our works; by acquiring a mining lease in the heart of our farm land; thus delaying our developmental projects through their constant harassment. 1979, Sept. 12 - St. Joseph Training Institute is started to offer informal training to school drop-outs from all over Goa and poor local boys. These boys are trained in welding, carpentry and motor mechanics. 1981, May 24 – Fr. Ariosto Coelho is appointed Rector in Sulcorna. 1981, June 10 - Dominic Savio Primary School is recognized by the Directorate of Education as an English Medium School. 1982, Apr. 14 – Fr. Ariosto Coelho attends the first meeting in Matunga as a Councilor to the Salesian Provincial of Bombay. 1983, Feb. 15 - Fr. Chrysanthus Saldanha, the Provincial Superior, sanctions developments at DBAEC: 1. the additions and alteration to the main building, 2. a spacious multi-purpose community hall, 3. shed for the dairy, and 4. the agricultural school. Other developments will include the re-organization of the farm and the dairy, a better communication network as well as plans to provide better residential facilities for the staff, the workers and the boarders. 1985, May 24 - While preparing the Educative Pastoral Plan the Salesian Community decides that Sulcorna should focus on imparting agricultural education. 1985, May 24 - The Boys' Town and School founded by Fr. Edwin D'Souza in Quepem is offered to the Salesians, who form part of the Sulcorna Community. 1986, August 11 - The S. S. C. Board, Goa, recognizes St. VII of the Don Bosco Farm High School with retrospective effect for the year 1985-86. The Directorate of Education provisionally recognizes Std. IX for 1986-87. 1986, October 20 -Dr. Gopal Singh, the Lt. Governor of Goa, inaugurates the Don Bosco Farm High School cluster of buildings and initiates the 25th year old Salesian apostolate in Sulcorna. 1987, May 24 – Fr. Michael Mascarenhas is appointed to succeed Fr. Ariosto Coelho as Rector in Sulcorna. who made the development of Salesian works in Sulcorna possible both before and during my tenure as Vice-Rector and Rector [1978-87]. I have marked with an * those confreres who lived and worked with me in Sulcorna. I have also marked with a + the deceased, those SDBs whom the Lord has called unto himself for a rich reward. -acquired the Sulcorna Property in 1948. A group of female religious founded by Mother Anna Huberta Roggendorf in Mumbai in 1942. Their mission is to give voice to the voiceless especially by empowering women and children. I am grateful to their superiors in Andheri and those in Rivona, for their support [1978-87]. In particular I am grateful to these sisters who collaborated effectively with me: Sr. Anuradha, Sr. Aradhana, Sr. Arpana, Sr. Deepika, Sr. Divya, Sr. Leelavathi, Sr. Madhuri, Sr. Mira, Sr. Prasanna, Sr. Rukmani, Sr. Rupa, Sr. Sandhya, Sr. Shalini and Sr. Vandana. All Workers at the Agricultural and Animal Farms, All Staff in Marketing, Sales, Research, Financial, Legal and Security. Farm Supervisors: Marcus, Anthony, +J. Rayappa, Simon, Raju, Upcari, MariSusai, Saveriamma, Thomas Godinho, Savio Gomes, Simon, A. C., Panchu Mainath; Admin Staff: Fatima D'Souza, Daniel Mathias, Martha Godinho, Nazie Noronha, Paul Lurdusamy, Cristina Lurdusamy, Clarence Rodrigues. Chefs & Cooks: Veronica, Sabava, +Santana Saraiva, Menino D'Silva, Camilo Pango, Anthony Joseph [Baker]. Drivers: David, +Gundu Naik, Susai, +Vincent Paul. Peons & Helpers: Khust Mainath, Somappa, Marcel Pinto, Edy Tavares, K. D’Sa, R. Ghazare, R. Sutar, C. Dhanaraj, V. D’Souza. Instructors: [Welding] John Almeida, Alex Fernandes, Luis Rodrigues, Dominic, Anthony Swamy [Carpentary] Sidda Reddy, D. Selvam, Satish Naik, Rjesh, Amir Sheikh. 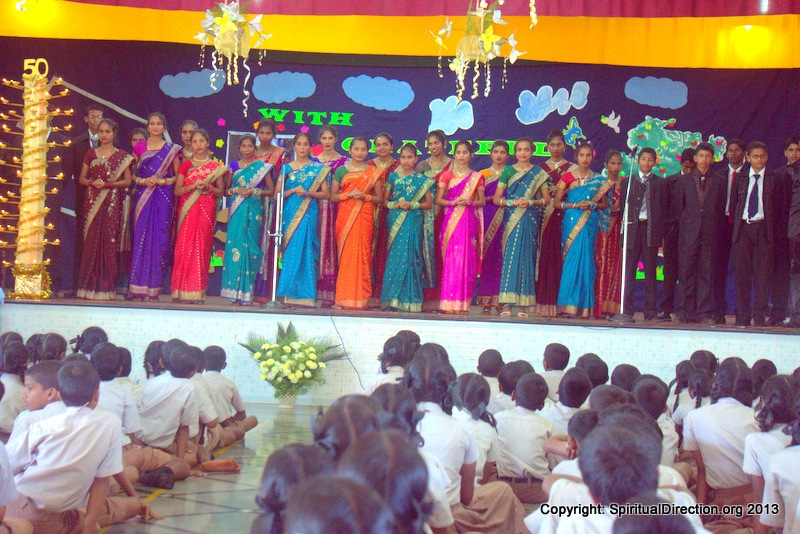 Teachers: Thomas Albuquerque, +Severina Almeida, Bharati Dessai, Bella D’Costa, +Bernadette D’Costa, Juliana Dias, Noemia Dias, Annie Fernandes, Martha Fernandes, Agnes Mascarenhas, Georgina Morenas, Kishori Naik, Mrudula Naik, Nita Noronha, Joseph Paul, Dulcina Pereira, Sylvia Pereira, Vasanti Sirwaiker, Maria Vaz, Izlante Vas, Lydia __, Collette Xavier. The living or the dead whose names I’ve forgotten or omitted. As I unfold this list with the names of students I want to gratefully acknowledge their parents, guardians, educators and the social workers who recommended them to be part of this new and noble adventure in education in remote Sulcorna. Today, these students have children of their own and are to be found all over the globe. Occasionally, I meet some of them in Goa, read about them on Facebook or hear from them in Alaska, London, the Gulf countries and elsewhere. There is a wonderful story that enfolds the lives of each of these students. I am grateful that I was privileged to be a part of these lives and of their stories. Evidently, they are a part of my life story! Please permit me to share stories of happenings I heard from the lips of Br. Ludvik and the early farm hands from Sagayathottam who, on experiencing the low-lying clouds dance among the hills and trees in Sulcorna, were afraid and wondered how they would survive living in the clouds. It was very difficult for them, especially since they were surrounded by wild animals and reptiles. On realizing that the workers’ watch dogs were disappearing without a trace, Br. Ludvik decided to tie a dog at the foot of a gigantic tree one night and ascertain for himself if it was true. Next, he took his loaded gun, climbed to the top of the tree and perched himself on one of the branches. It was rather late and dark. While he struggled to keep himself awake his eyes caught sight of two bright stars above him that were shining closer than usual. On realizing that these stars were the eyes of a tiger sitting on a branch above him he took aim and shot. He heard the tiger jump down and disappear. No one had attacked the dog. Br. Ludvik accompanied by the dog returned to his residence. The following morning Br. Ludvik noticed that two of the eight pellets from his gunshot were lodged in the branches of the tree. The wounded tiger had escaped. On another occasion, Br. Ludvik told me that he found himself reciting the Act of Contrition and preparing to meet God as he lay mortally frightened and helpless on the wet bed of a stream during the monsoon season. He was trapped between the hoofs of a wild Indian bison on either side of his torso. The rapid hot breaths from the bison’s nostrils were blowing on his face as the bison made many frantic attempts with his horns to lift Br. Ludvik who was on the downward path of the stream. As their eyes met, Br. Ludvik had the presence of mind to notice that the bison had lost interest in him. Since the bison’s wide horns were unable to get hold of Br. Ludvik the wild beast focused on another target. The bison’s monstrous hoofs could have punctured Br. Ludvik’s guts while moving away from him. With his extensive horns the bison grabbed a frightened worker, who happened to be nearby attempting to save Br. Ludvik, and threw him up in the air. He landed gently on nearby bushes and would have been killed had not Fr. Moja arrived on the scene and shot the bison fatally. This bison’s skull head with a couple of gun holes used to be displayed at the Museum in Sulcorna in the 1980s. Personally, I recall encountering a wild female bison in 1985 while on a routine walk to the mountain to visit Our Lady of Sulcorna[xii] [OLS]. On noticing the wild beast up the hill in front of me I prayed to the Blessed Virgin OLS and thought of my strategy to dodge this dangerous and, possibly, lethal situation. Luckily for me this female bison was accompanied by a calf, who decided to go in the opposite direction and away from me into the cashew orchard. Here’s another factual story which I heard from the lips of Fr. Moja. One of his early helpers who lived with his family in a tent were mortally scarred when they found out that a panther had entered their shelter. Evidently, the panther had walked stealthily by the man, his wife and child who were sleeping next to the dog. Without alerting them the panther grabbed the mesmerized dog and disappeared into the forest with the prey. Can you imagine the loud cackle, the bloody massacre and the expensive havoc when a panther entered into the hen house? That is exactly what happened before I got to Sulcorna. Early one morning in 1979 I remember seeing a panther run through our residence where Fr. Olivio was raising a few puppies. You can imagine my consternation many months later when I found a live 12” long snake slithering on top of my desk in my bedroom in the living quarters of the Salesians. One of my sad experiences in Sulcorna was in March 1980. It was four in the morning when I heard a loud knock on the wooden door in my room in the Boys’ Boarding, where I resided. I was told that a poisonous snake, “a vicious viper” according to the Chronicles[xiii] of Sulcorna on April 1, 1980, had bitten Mrs. Veronica David, one of our most loyal supervisors who was boiling paddy that night. I jumped out of my bed and rushed to Shubha Vihar, the Health Center, where the Helpers of Mary were giving her first aid. I prayed for Veronica’s speedy recovery, asked Fr. Olivio to anoint her with the oil of the sick, and drove her by Jeep to the nearest Government Hospital in Sanvordem, 25 kms away. On being told that they did not have the anti-venum serum medicine I drove her immediately to the Hospicio Hospital in Margao another 25 kms away. I am grateful that Veronica not only survived, but was able to recover fully and resume her regular life within a few months. I also recall Br. Vincent Nigrel who had mastered the art of catching venomous cobras. I recall how on one occasion Br. Nigrel released a cobra in front of two huge frogs. They bloated and froze like two rocks and were unable to move in front of this cobra. I wonder if you would mind the following story. The workers had caught an enormous piton that was swallowing a monkey. Needless to say, these adventurous hunters killed this reptile and decided to cook the meat. It tasted like the white baby sharks from the Arabian Sea that I had eaten at home in Aquem. We were also privy to venison, bison meat and the wild boar, which is one of the best meats I have tasted. The eleventh day of the ninth month of the first year of the third millennium will probably go down in history as a day of terror and trauma. This day will be remembered by the residents of New York, the United States of America and many other nations of the world as a day that transformed, not only the security of the traveling public but also the way people responded to terror. Terror, trauma and transformation are universal experiences that transcend history and territory. On this eleventh day of the eleventh month my memory transports me to the banks of Kushavati in Sulcorna, Goa, as I write these stories of courage and achievement in the midst of pain, fear and loss. Sulcorna, a tiny and remote village situated on the river Kushavati, is nestled among the jungles and hills that border on the Quepem, Sanguem and Canacona talukas (administrative provinces) in south central Goa. Decades prior to my destination at the Don Bosco Farm in Sulcorna, my dad had visited this tiny geographical entity in 1942 and written a poem in Portuguese entitled Avaliação em Sulcorna. In this poem Adv. Xavierito Coelho described the hardships involved in carrying out his assignment in a distant village without access by motorable roads and no significant landmarks, save those provided by nature’s bounty. Plans for bridges and roads were being drawn and approvals for authorizing them were underway in 1978, when I was commissioned by Fr. 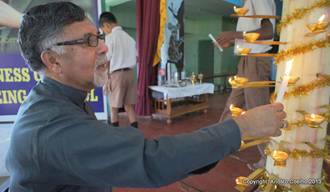 Tony D’Souza, the Salesian Provincial of Bombay, to assist Fr. Olivio Miranda in placing the Farm in Sulcorna on the Salesian map as a viable educational institution. Fr. Olivio Miranda, the Rector of the Don Bosco Farm, was extremely sad on the morning of the day when Pope Paul VI breathed his last in the Vatican City, August 6, 1978. He called me close to him and nervously whispered in my ears, "Ariosto, I have to rush to Pangim." As he hurriedly prepared his futfutti, a motorized two-wheeler, he continued feebly "I need to seek legal recourse. Our MLA, Mr. Dilkush Desai, has sent workers into our farm land and these men are digging the foundations for a temple inside our property without our consent, nay, despite my objection to the contrary." I was confused with this dismal tiding. I was, now, alone. The third member of the Salesian Community in Sulcorna, Bro. Ludvik Zabret, the Farm Manager, was away in Yugoslavia. As Olivio left for the capital city, I was responsible for the Farmers’ Rehabilitation Society, 35 families and 75 daily workers who either lived or worked on the Farm, the Elementary School with 40 children, the Informal Technical Institute with 20 trainees, the Savio Boarding with 30 residents, and other facilities to serve the poor and needy. Over the months and years that followed I found myself at the crossroads with increasing conflicts and insurmountable legal problems. Two plots of land with hundreds of yielding coconut trees, thousands of cashew plants and other trees were taken away from the Salesians in Sulcorna and a Court Receiver was appointed. Mining leases to extract ferrous manganese ore were granted on cultivated agricultural land and operations were underway to fell trees, a very quick and lucrative business. What was once the peaceful grazing ground for the Indian bison had become a land of wild fury with painful stories of terror. The sun had already set beneath the wet western skies into the waters of the Arabian sea and the cows had gone home to rest in their dark and damp sheds in Pirla, a village adjacent to and bordering the Farm. The honking announcing the arrival of the only bus bound for Pirla from Vasco via Margao was heard as usual, but the tractor with the attached carriage that had been sent to pick up the Farm workers, who were returning from their vacation in Tamilnadu, was exceptionally late in coming back from Pirla. The driver and the terrorized workers who got back had been assaulted and beaten up by the local bebdes, drunks, instigated by the MLA. A few days later, when the paddy was almost ready for harvesting and the cane was growing taller with the occasional rain showers and the sun was smiling brightly, I was enjoying the company of two friends from the Indian Social Institute in Bangalore. All of a sudden I was summoned to our sugar cane plantation because some assailants were creating problems. Little did I realize that I was entering a hornet’s nest. It was the bebdes again, this time they were out to get me. They snatched a camera which I was holding, hurled abuses at me, charged with bamboo sticks to poke me, picked up rocks to hurl at me and danced around taunting me. Within a few minutes I was surrounded by the already terrorized farm hands, now being re-traumatized. They offered me protection against the drunks, who were sent to attack me. This was just the beginning of their threats towards my person. Over the nine years that I spent working in Sulcorna I was on many occasions advised, "Ariosto, do not return to Sulcorna on your Yezdi motor cycle today. They are waiting to kill you." Dauntless on every occasion, I did go back at all hours of day and night to be with the little, the lowly and the lost in Sulcorna. As I look back I realize the power captured by Paul of Tarsus [2 Cor. 12:8-10] when he writes "in my weakness the Lord is my strength." Yes, in my weakness the Lord provided me with strength to walk across the river Kushavati many thousand times each of those nine years. Simply, the Lord made me experience the power of his people. Freely, the Lord chose for me the path of protection and non-violence. Fully, the Lord sent helpers who made up for my weakness in carrying out His plan for Salesian work in Sulcorna. On October 20th 1986, Dr. Gopal Singh, the Lt. Governor of Goa, inaugurated the Don Bosco Agro-Educational Complex while Fr. Aurelio Maschio, a pioneer and architect of Salesian works in the Western region of India, blessed the new building for the Farm High School in Sulcorna. Fr. Chrysanthus Saldanha, the Salesian Provincial of Bombay, joined Archbishop Raul Gonsalves, Patriarch of Goa, in thanking God, Mary Help of All Believers and St. John Bosco on January 31st 1987 for the wondrous works realized in Sulcorna in spite of deadly odds. I recall the heroic times when in spite of all the terror and trauma Don Bosco Farm was gradually transformed into a Complex of Salesian Activities. I was at Ouvres et Mission de Don Bosco in Lyons, France, when on September 1, 1988, I received a letter from Fr. Michael Mascarenhas, Rector in Sulcorna, with a typed carbon copy of the ‘Results of the First Batch (S.S.C.) from Don Bosco Farm High School, March 1988.’ I wet the letter with tears of joy as I paused at the dots in the handwritten note: "We remembered the past Superiors & above all the Rector ... You will understand things better .... God bless all those who had faith in these kids." Many years later, on May 21, 2001, I could hear the distant voice of Fr. Adolph Furtado, Vice Provincial of the Salesians, calling me from Mumbai, "Ariosto, today we received the news that the Court Receiver has returned the two attached plots to the Salesian Farm in Sulcorna. It has been over 22 years of a painful and tense struggle. Victory is ours today. We’re grateful to God, you and others who dared and hoped." Joseph was dreaming again. This time he found himself in the Salesian Garden. It was January 31, 1988. He was not surprised that Pai, who had died a few months earlier, was there to welcome him. He couldn’t understand what was going on. As Joseph approached the inner circle he was blinded by the dazzling light that emanated from The Most Holy Trinity. The music created by the angelic choirs was unlike anything he had heard on Earth. Pointing to a red figure that was at the head of the choir Pai shouted: "That’s Cardinal Cagliero, the leader of the Salesian missionary expedition to South America." Joseph could hear the angels render Cagliero’s Gloria in excelsis Deo, Pax hominibus bonae voluntatis -Glory to God in Heaven and Peace on Earth to People of Goodwill- and was told that this was a celebration to honor Don Bosco on his death centenary. Joseph could see Don Bosco surrounded by millions of young and old people of every race and color, whose lives he had filled with glory and peace in every continent for over a hundred years. Joseph’s heart was delighted as he enjoyed the glory of heaven. When all of a sudden he felt a gentle finger tap on his right shoulder, Joseph was awakened to his restless mind that longed for peace on Earth. He was immediately transported by Vicenzo Scuderi, the bearer of the finger, to Sulcorna, a tiny and remote village situated on the river Kushavati and nestled among the jungles and hills that border on the Quepem, Sanguem and Canacona talukas (administrative provinces) in Goa. Susai, a versatile young man who hailed from Tamilnadu in South India, was the driver assigned to show them around this agro-educational complex. As the four-wheeled Jeep climbed to the top of the hill they could see hundreds of fruit bearing cashew plants. Hidden among the trees and bushes Vicenzo noticed a statue and heaved a deep sigh of relief. Susai informed him that Moja had erected this monument to Mary, the Help of Christians and All Believers, in gratitude for her protection since 1962. Vicenzo remembered how in 1948 he was instrumental in obtaining this property for the Pia Sociedade Salesiana de São João Bosco. He threw his arms in the air and exclaimed loudly in Sicilian: "Grazie alla Madonna di Don Bosco!" which means "Thanks to the Madonna of Don Bosco!" and he shed tears of joy. "Who could have imagined this transformation!" and turning towards Susai asked him "How did they do it?" Susai borrowed words from Tamil and Konkani in his attempt to express his sentiments in English. "Swami, he explained, "many fathers, brothers, sisters and workers. Moja, Ludvik, Miranda and Coelho worked very hard for many years. Joseph knows the history. He can tell you better than I. He worked very hard, too. Dilkush made too many problems for him." Vicenzo thanked Susai for his words and turned towards Joseph. Instead of talking about Dilkush or the developments on the land, Joseph decided to tell stories about the little, the lowly, the lonely and the lost who lived in and around Sulcorna. Joseph remembered Usheinbi, a Muslim girl. This little girl accompanied her parents who came from Bijapur in Karnataka to harvest sugar cane. Her parents and family decided to stay on after the cane season was over and were employed at the farm. Her illiterate parents resisted sending her to school, but better sense prevailed and she was admitted in the school, where she learned to read, write and speak English. Usheinbi was an outstanding student. She was the first in her class. As the oldest daughter she was responsible to take care of her younger siblings because her parents worked by day or night. Joseph recalled how one day Usheinbi, who was now thirteen, was dressed in a sari and came around distributing candy. Though sad, she spoke with pride: "My parents have given me away in marriage. Tomorrow I’ll be leaving for my future husband’s house in Bijapur." When asked why she was giving up schooling, she replied "My parents think that no one in my village will marry me. I’m over-educated." Next, Joseph shared how he had to convince a certain Mr. Vellip, a Hindu from the neighboring village of Kazur, to accompany him as a witness at the Senior Civil Court about 12 miles away in Quepem. He asked Mrs. Panchu Mainath, another Hindu witness from the neighboring village of Pirla, if he should offer long pants to Mr Vellip who had come practically naked wearing only an undershirt and a caxti [loin cloth]. She burst into roars of laughter as she remarked in Konkani: "I can’t imagine Mr. Vellip wearing long pants. I don’t think he has ever worn pants! He’ll be a spectacle in the Court and his buddies will have great fun at his expense!" Dark clouds in the sky wore ominous signs of rain that noon when Maruthi, the father of six children who hailed from the Western Ghats and spoke Marathi, had gone to Pirla to deliver milk with the bullock cart. It rained cats and dogs for hours on end. At nightfall one of the bulls returned, but there was neither the cart nor the empty milk cans. As for the driver, Maruthi was nowhere to be found. A million buckets of incessant rain had flooded the rivers and the only bridge that connected the farm to the rest of the world was under four feet of gushing water. That night a dismal messenger brought the news that Maruthi’s footwear was found floating in the nearby village of Kevona, but he was not to be found anywhere. His six children and wife were inconsolable thinking that their father and husband was a victim of the torrential rains. It was a very sad night! Everyone turned to Mary, the Help of All Believers, seeking her protection and a safe return for Maruthi. Along with the morning sun Maruthi walked home to his wife and children but without his footwear. His family and everyone at the farm was overjoyed at his miraculous return. Joseph also recalled Martin, a Catholic orphan boy in Savio Boys’ Home. Martin was in a residential facility for the first time. It took him a while to get used to the new members on the staff as well as to the other sixty inmates. He had been at the facility for little over a month. On July 6 every youngster at the complex was celebrating the feast day of St. Dominic Savio, the patron saint of youth. Besides the liturgical ceremonies which rendered the occasion solemn, games and other activities made the youngsters happy. What made Martin really happy was the sumptuous meal. After he had enjoyed the vegetable biryani rice, chicken xacuti, cucumber and onion raita and sweet dessert, he came around prancing and dancing and shouted into Joseph’s ears: "Happiness is too much!" Vicenzo, who had been listening with rapt attention, threw his arms in the air again and shouted with glee: "Per caritá [by golly], children are the same all over the world. Yes, they respond to food and love!" Susai, who was thrilled to hear these stories recalled his children and confirmed in Tamil: "Sari [true], and my wife would agree." Twenty-five years ago on January 31, 1987, the feast day of St. John Bosco, I wrote in the Editorial to the Silver Song of Sulcorna "The tiny seed planted by Msgr. Scuderi, nurtured by Fr. Moja and by other pioneers is today a mature tree called the Don Bosco Agro-Ed Complex" [DBAEC]. Today, please allow me to unfold and enfold the Golden Song as it "grows and glows" with the Kristapurana in Sulcorna. Twenty-five years later, on January 14, 2013, almost miraculously without prior knowledge or invitation but with help from my wife Vivian Marrone and our friend Fr Adolph Furtado, SDB, I was able to travel from San Bruno in California and participate in the Golden Jubilee Celebrations in Sulcorna, Goa. I was delighted to meet Fr. William Falcao, Fr. Egidius Fernandes, Br. Vincent Nigrel and Br. Alex Gonsalves, all SDBs who were part of the Leadership Team with me over 25 years ago. Along with them I joined Msgr. Felipe Neri Ferrao,[xiv] the Archbishop of Goa, and Fr. Ian Figueiredo,[xv] SDB, the Salesian Provincial of the Konkan and a thousand young and old voices gratefully singing the praises of God and gracefully filling the lofty and warm space in the Humberto Mascarenhas Hall built in 1986 under the supervision of Fr. Elias Dias, SDB, the Provincial Economer of the Bombay Province. I was impressed by the disciplined and talented students of the Don Bosco Farm High School, their parents from all over Goa, and the many workers of all faiths from the Don Bosco Farm who prayed in unison with devotion and love. As the Archbishop reminded all present that Pope Benedict XVI had declared this year as the Year of Faith, I recalled the Miracles of Faith I had witnessed in Sulcorna for over nine years [1978-1987], six of these as the Rector of the DBAEC in the, then, remote and isolated corner of Goa on the banks of the river Kushavati. It is here that the words of Rabindranth Tagore became alive for me "There rest thy feet, where live the little, the lowly and the lost." As I lit one of the fifty flames, I recalled all those who made the miracles of sustainable development and ecological integration happen in Sulcorna, in spite of almost insurmountable challenges, and whispered this silent prayer. "May our silence be comfortable! of the Great Spirit of Love that gives and forgives. glow in harmony with Impermanence." I am grateful to God who inspired Fr. Tony D'Souza, SDB, the Salesian Provincial of Bombay, and Fr. Olivio Miranda, SDB, the Salesian Rector in Sulcorna, to give me the mandate to place the Don Bosco Farm in Sulcorna on the Salesian map as a viable educational and social institution. Soon after my ordination to the priesthood on December 21, 1977, Fr. D'Souza guided my steps and shared God's plans for me on May 1, 1978, as follows: "I herewith announce that your Superiors have thought it fit for the greater Glory of God and for the advantage of your soul to destine you, to the house of Don Bosco Farm - Sulcorna in the quality of Vice-Rector. Therefore, you are invited to betake yourself as soon as possible to the place where Obedience sends you, accepting it as the expression of the Will of God in your regard. Let zeal in fulfilling your duty, charity, amiability, and especially obedience, be the virtues which you will continue to practice in the work entrusted to you." Fr. Tony D’Souza’s mandate would not have been possible without the support of Don Egidio Viganò, SDB, the Rector Major, Fr. Chrys Saldanha, SDB, the Salesian Provincial of Bombay, who along with their Teams of Councilors left no stone unturned to reach out to the many lay and religious collaborators in transforming the Don Bosco Farm into a veritable Agro-Educational Complex. Today, this Salesian Institution can boast among other accomplishments of an excellent Farm High School which was inaugurated by the then Governor of Goa Dr. Gopal Singh on October 20, 1986. Mirror 151: The land of resilient optimism? The Golden Jubilee Celebrations of the Don Bosco Agro-Ed Complex [DBAEC] at Sulcorna on January 14, 2013 captured the warm glow of integrated growth and sustainable development through dedicated hard work. Over a period of fifty years the Salesians of Don Bosco and their collaborators not only transformed the forest into an agricultural farm but also built an educational complex with a reputable Farm High School. This for me was proof that the DBAEC is the Land of Resilient Optimism. I was able to laugh blissfully with the Risen Lord while recalling the many challenges and crosses we carried with the Crucified Savior. That evening I accompanied Fr. Edwin Baracho,[xvi] the Rector, along with Raju, an experienced supervisor at the farm, and a handful of resident students to discover the metal cross I had erected to celebrate the Silver Jubilee of Salesian Apostolate in Sulcorna before I left the Agro-Ed Complex on May 30, 1987. This six-foot tall cross was placed on the peak of the mountain that separates the villages of Sulcorna from Kazur and Korla, one of the boundaries of the property gifted to the Salesians by Mr. Humberto Mascarenhas from Margao on September 8, 1948. As we abandoned the steep upward climb and retraced our steps downward through the thick forest after walking for 2 hours from the site where Fr. Moja had erected his first tent on October 20, 1962, darkness was all that we saw. A flash light app on my Iphone brightened our path as we struggled to find our way back down the half-dry river bed. With the early rays of the sun I could hear the birds chirping melodiously while the school children from the villages around swiftly descended from their school busses on January 15, 2013. I had the privilege of greeting some of the Salesians, teachers as well as Farm workers. Mr. Prakash Naik, a resident at and a student of the Agro-Ed Complex, currently an assistant to the Farm Manager, drove me around the DBAEC in a Jeep. Mr. Naik showed me a plot of land he acquired in the Sulcorna village and informed me that he was looking forward to selling it for a reasonable price. He also drove me to the farmers' residences and introduced me to a few retired farm workers who hailed form Tamilnadu, Karnataka and Maharashtra and whom I had known over twenty-five years ago. Now in their sixties and seventies, many of them needed medical attention and chose to share their tragic life stories. I felt a sense of hopelessness as I listened to their misery and asked myself -what can make Sulcorna, the Land of Resilient Optimism, where "Happiness is too much," to use the words of a student in 1985. The warm wintry sun was overhead when I visited the Library and the Teachers’ Lounge at Don Bosco Farm High School. As I sat and listened attentively to the KG teacher Mrs. Jacinta Naidu Naik, who lived in and schooled at the DBAEC in the 1970s and 80s, I was traveling down memory lane. She shared that she was happily married to Mr. Prakash Naik with whom I had spent the better part of the morning. She talked in glowing terms about their 18-year old daughter, who had completed High School at the DBAEC and joined the ranks of the religious, and their 12-year old son who was enrolled in the Farm High School. She recalled the many tragic happenings both in her family and at the Complex during my tenure as the Rector. She remembered the conflicts created by Mr. Dilkush Dessai, the MLA of the Rivona Constituency, that led to innumerable legal problems and Court cases related to the land. Her eyes shone bright as she described the hopeful promise of land at the Farmers' Rehabilitation Society. As I left the DBAEC, the golden glow of the Jubilee Celebrations began to turn into dust -literally into earth/land. Confused and helpless, I wondered who would listen to the needs of the pioneer farm workers still alive or their children and give them a piece of the promised land. I wonder how the two foreign-born pioneer Salesians, Fr. Giuseppe Moja and Br. Ludvik Zabret, who had been honored the previous day and hailed as heroic models for the youth of our times, or all the native rectors Fr. Olivio Miranda, Fr. Ariosto Coelho, Fr. Michael Mascarenhas, Fr. Lawrence D'Souza, Fr. Edwin De Souza, Fr. Mathias D'Cunha, Fr. Lucas Mendonca, Fr. Dominic Savio, Fr. Edwin Baracho along with their Councils and Communities would responsibly address the issues related to the promised gift of land at the Farmers' Rehabilitation Society? May I request you to join me in praying that the poor and the young, whom Don Bosco loved, may soon travel beyond hopelessness and misery into the land of resilient optimism - where Infinity, Intimacy and Integrity glow in harmony with Impermanence. I left Sulcorna on May 30th, 1987. It wasn’t Easter Sunday, but with the Breath of the Risen Christ every day was and is Easter. On this day I breathed the Resurrection of Sulcorna as I let go with the Breath of the Risen Christ and recalled a Message [1987/01/22] from The Silver Song of Sulcorna written by Fr. Aurelius Maschio. “Sulcorna - A Center of Prayer. I have often visited our Don Bosco Institutions in the Bombay Province. I like all these Centers; but I feel a special attraction for Sulcorna. … I feel that we can always have prayers offered for us at Sulcorna. The Lord will grant our prayer.” I, too, felt a special attraction for Sulcorna and the Lord granted my prayer. The Lord also granted the prayer of Fr. Tony D’Souza and of all those who came, worked or prayed at Sulcorna, asked for prayers and prayed for DBAEC. With an assurance of prayers - “Today we are proud of the transformation you and your collaborators have brought about in spite of heavy odds and innumerable problems. … With every good wish and an assurance of prayers.” These words of Fr. Vincent Scuderi, SDB, written to me from Catania in Sicily 12 days before his death on Nov. 22, 1987, reminded me of the thousands of letters that I received or sent out with the words “assurance of prayers” or “with every good wish and prayer.” It is difficult for me to imagine all the circumstances that needed prayerful support, mostly through letters, as we had no phones, let alone email, in Sulcorna all the years that I was there. Don Bosco in Sulcorna is turning silver this year. These 25 years in the service of youth and agriculture are dotted with events wrought by God through the instrumentality of various personalities. As one goes down memory lane, one cannot help but recall with gratitude their Footprints on the sands of time in the Sulcorna complex. The Educative Pastoral Plan: The tiny seed, planted by Mgr. Scuderi, nurtured by Fr. Moja and by other pioneers is today a mature tree called the Don Bosco Agro-Ed complex. Here the Salesians, with a penchant for agriculture, have in their Educative Pastoral Plan very clearly opted for imparting academic and practical instruction and education in farming and agriculture initially up to the high school level and later on at other levels. 1988- The Centenary of Don Bosco's Death: On this 31st day of January we recall that 99 years ago Don Bosco died in Turin. As we prepare for the centenary of his death in 1988, we the 18000 Salesian Fathers and Brothers, the 18000 Salesian sisters, other members of the Big Salesian Family especially the millions of boys and girls in the Salesian institutions, realize that Don Bosco is just not ours to keep. He belongs to the universal church, nay to the whole world, as a personality that has left indelible footprints not only in the sands of time but in the hearts of youngsters for over a hundred years in practically every country of the world. Long live Don Bosco! May his personal charm and charism continue to inspire us all. Conclusion Adieu: As I conclude the Introduction to this Silver Song of Sulcorna and wish you a very happy feast of St. John Bosco, I want to wish you adieu. Thank you for your understanding, collaboration and patience with me since 19th March 1978. For all that has been - I give thanks! - I'm sorry! Please forgive me! For all that is to come, I say "Yes!" Do say a short prayer for me that I may always and everywhere be generous in the service of the poor and the young, the Don Bosco way. With every good wish and prayer throughout this silver year as well as throughout your lives. May you always see the silver lining in the small and big events that happen to you and others. I want to dwell briefly on the Salesian Provincials' Conference of India held in Sulcorna, from January 14, 1986. The intense preparations for this meeting in Sulcorna, which was also known as CHOGM [ The seventh Commonwealth Heads of Government Meeting [CHOGM] was held in New Delhi, India. The retreat was held in Goa in November 1983.] in Salesian Circles, was one of my biggest responsibilities while at Sulcorna. The once isolated corner of the Salesian world was in the limelight with the visit of the Salesian Leadership of India and East Africa. The Sulcorna Community provided the wherewithal to them during this important meeting with Fr. Thomas Panakhezham, Regional Superior for Asia, and Fr. Luke Van Looy, Councilor General for the Missions, both from Direzione Opere Don Bosco in Rome. A monument erected on this occasion in honor of St. Joseph, the Patron of Workers, bears a plaque to recall this event on January 15, 1986. It was no longer Good Friday but a resilient Easter Sunday experience at Sulcorna. Don Bosco in Sulcorna was now fully inserted on the Salesian and educational map of India. [FOOTNOTE: Recently, I came across Reminiscences of the Salesian Province of Panjim compiled and published by Boskon Communications, DBPH, Odxel, Goa, in 2015. Since these Reminiscences are filled with words, I hope my words will help in aligning the record with factual truth which, I think, was distorted because I decided to leave the Salesian Society in 1989 and got married in 1994. The distorted memories and negligent omissions in acknowledging appropriately the apostolic and missionary activities during my tenure as Rector [1981-87] of Sulcorna and Provincial Councilor [1982-88] of the undivided Bombay-Goa Province are deplorable. I am also aware of similar, if not worse, “Intentional Amnesia, Culpable Negligence or Dishonest Distortions” in Don Bosco in India published by SPCSA on the occasion of the Centenary Celebrations in 2006 [Ap H]. [i] Formal Letter of Obedience issued by Fr. Tony D'Souza, SDB, on May 1, 1978. "I herewith announce that your Superiors have thought it fit for the greater Glory of God and for the advantage of your soul to destine you, to the house of Don Bosco Farm - Sulcorna in the quality of Vice-Rector. Therefore, you are invited to betake yourself as soon as possible to the place where Obedience sends you, accepting it as the expression of the Will of God in your regard. Let zeal in fulfilling your duty, charity, amiability, and especially obedience, be the virtues which you will continue to practice in the work entrusted to you." [ii] A quote from my letter on the state of the Community during my sixth and final year as Rector of Sulcorna. This letter dated 1986/09/25 was submitted to Fr. Thomas Panakhezham, SDB, Regional Superior at Opere Don Bosco in Rome, during the Special Visitation of Sulcorna, Goa. [iii] Br. Vincent, who was the farm manager, did both agricultural and youth work in Maharashtra, Gujarat, New Delhi and Bombay after he left Sulcorna. [iv] Br. Alex was transferred to Ahmednagar where he worked for 24 years at Bosco Gramin Vikas Kendra and won national awards and state recognition. [v] Br. Bennett was ordained a priest and went as a missionary and youth worker to East Africa and UK. Today he is posted at DB Pangim in Goa. [vii] Bro. Jerome is currently the Administrator at the Provincial House in Mumbai. [viii] I am proud to mention that this institution has grown into the first Government recognized College of Agriculture in Goa, which was inaugurated by the Chief Minister of Goa on October 18, 2015. [ix] On June 15, 2003, I was pleasantly surprised to receive an email from Mr. Fredrick Noronha on Goanet informing me that a certain Ram Vellip from Mascaorem-Colomba remembered me after many years as helping him by driving him to Pangim to attend to his nose problem. [x] In April 2015, I was visiting a village near Tuem in Pernem, Goa, with Fr. Lino Lopes, SDB, the Vicar of the Parish. We got out of our vehicle to meet a family known to Fr. Lopes, who introduced me as Fr. Ariosto. Over 35 years later, the head of the family recognized me and recalled gratefully the times when he visited DB Sulcorna as a student of Pope John 23 High School and Boarding in Quepem, where he and his brother studied with Fr. Edwin D’Souza in the late 1970s. [xi] I have known William Falcao since 1963. We were both classmates at DB Lonavla. He was junior to me by profession and ordination. He accompanied me to DB Sulcorna on March 20, 1978 and helped prepare for the Marathi Ghar to be held in Sulcorna during that Summer. A few years later, when he was appointed Administrator in Sulcorna, I was impressed with his zeal for souls, devotion to duty and practical approach to life. I am grateful to him and his family, especially his Dad who came to help with the construction of the Mascarenhas Hall. Fr. Falcao is currently the Rector of DB in Borivili, Mumbai. [xii] This statue to DB’s Madonna was placed on top of the hill by Fr. Joseph Moja and Fr. Olivio Miranda in December 1977 and was initially dedicated to Mary, the Help of Christians. In the late 1970s I had noticed that regardless of their faith traditions many devotees flocked to seek the protection of this spiritual icon, so in 1981 I decided to address her as the Help of All who believed in Her, in Konkani “Sogliancho Alaxiro.” I was happy to know that Fr. Crisologo D’Cunha, my colleague from DB Pangim [1960-62] who in 2016 holds the record as the SDB who has spent the most amount of years in Sulcorna, has rightly renamed the miraculous statue as Our Lady of Sulcorna. [xiii] Every Salesian Community has a written record of happenings known as the Chronicles. These documented writings are important and offer a historical perspective on life in the Community and its surroundings. [xiv] I remember that while working in the Archdiocese of Goa in the 1980s Fr. Ferrao and I collaborated on the Vocation Commission. Later on, we met regularly and celebrated the Eucharist for the Goan Community in Rome as students of two different Pontifical Universities. [xv] I have many memories of my times with Fr. Ian Figueiredo. I gratefully recall how he welcomed Fr. Adolph Furtado, Fr. Ivan de Souza, Br. Kenneth Pereira and me to the Salesian University in Rome on August 30, 1987 and led us to visit St. Peter’s Basilica that same day. Later on, he was God’s instrument to take over as the Novice Master in Nashik, a position that would have been mine, had God not led me elsewhere. [xvi] The Faces of the Enemy Within, a book by Sam Keen, offers me some perspectives to understand this man, who decided not only not to invite me for the celebrations of the Golden Jubilee of Sulcorna in 2012-13 but also not to acknowledge the developments in Sulcorna during my tenure as Rector from 1981-87, when he wrote the article on the history of DB Sulcorna in Don Bosco in India published by SPCSA on the occasion of the Centenary Celebrations in 2006. [Miror 159] . .. I am grateful to Shri Francisco Sardinha, Cabinet Minister of the Government of Goa, India, for nominating me for the 1986 National Child Worker Award. 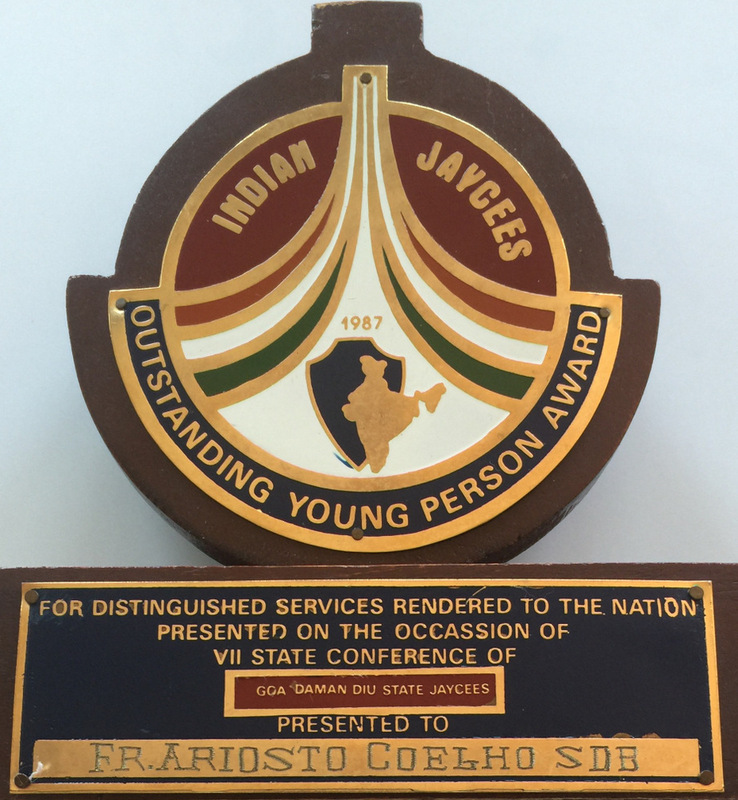 With humility I asked my brother Rosarito Coelho to accept the 1987 Outstanding Young Person of India Award awarded to me in absentia by the Goa State Jaycees "for distinguished services rendered to the nation" by transforming the Don Bosco Farm into an Agro-Educational Complex for the poor and the marginalized, especially children and teenagers in Sulcorna, Goa, India.